And Abram went on his journey from the south as far as Bethel, to the place where his tent had been at the beginning … to the place of the altar which he had made there at first. And there Abram called on the name of the Lord (Genesis 13:3, 4). While he was in Egypt, Abram pitched no tents nor did he set up any altar of worship. In fact, it was probably unwise of him to go to Egypt in the first place, as there is no record of God telling him to do so. While he was sojourning there, Abram also perpetrated a lie as an attempt to protect himself. It was from this place (not from Egypt) that God could say to Abram, “Arise, and walk in the land through its length and width, for I give it to you” (v. 17). “THEN” (v. 18)—and only then—was it safe for Abram to move his tents and set up a new altar of worship. 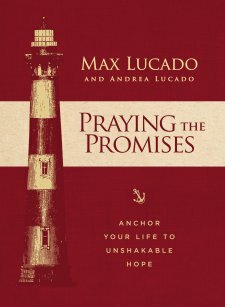 Prayer—Father, I am sure I have strayed into an Egypt before, sojourning where my wits—and not Your voice—have led me. 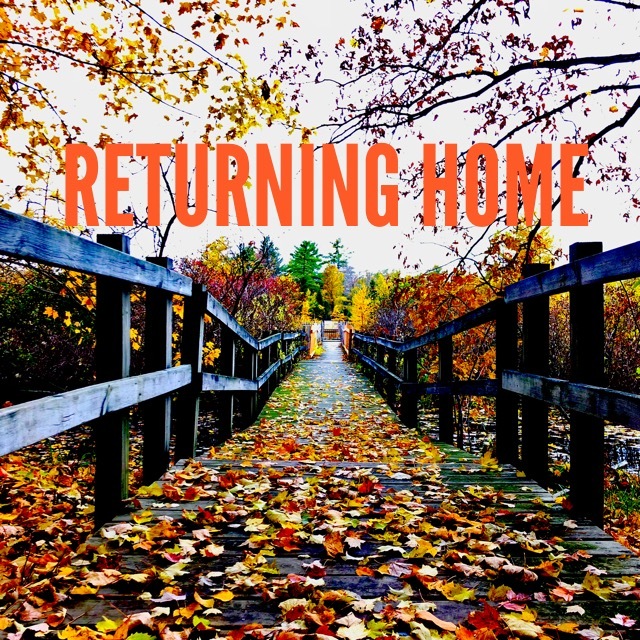 Thank You, Lord, for protecting me there, and for allowing me to “return home” to the place You intended for me, to the place where Your blessings flow. May I not move forward again unless You direct me. In Jesus name, Amen. Thus Noah did; according to all that God commanded him, so he did (Genesis 6:22). … keep convincing his family to hang in there with him for the next 100 years! And Noah did all of this: Everything that God told him to do. In doing so, God saw that Noah was “righteous before Me in this generation” (7:1). This allowed God to pronounce a blessing on Noah and his family (9:1). God’s blessing always follows our obedience. Holy Spirit, help me to obey all that You are instructing me to do. May my obedience be as pleasing to my Heavenly Father as Noah’s obedience was. May God be glorified by my full and quick obedience, and may others be drawn to Christ as they see the blessings that follow obedience. 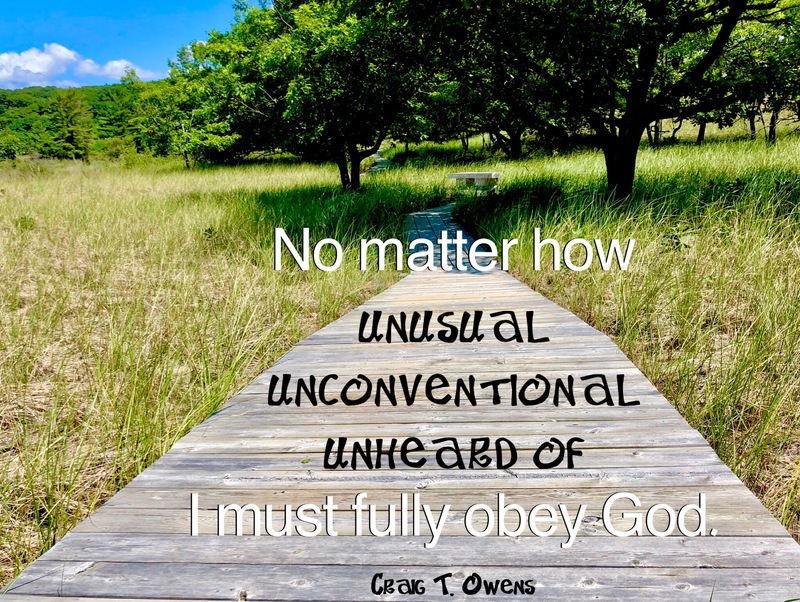 No matter how unusual, or unconventional, or even unheard of, may I be quick to obey. In Jesus name I pray. Amen! Men say “We are going to build a holy city on this earth”—you cannot; the earth is infected, it is a diseased chamber, and the holy city will never be on it until God has purged it with fire and taken the epidemic out of it. … God cannot bring in the Millennium by moral renovation, but only by cremation…. The devil likes to make us believe that we are in a losing battle. Nothing of the sort! We have to overcome all the things that try to obscure God. 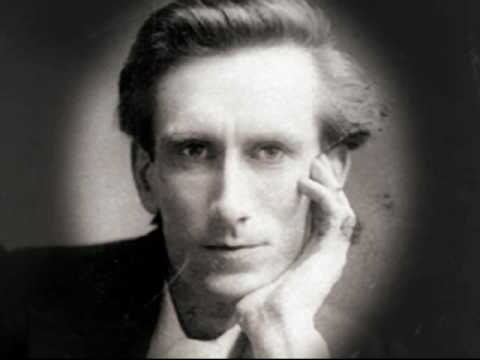 The rugged truths of Isaiah point out not only the appalling state of the world as it is, but that we have to live a holy life in it by the power of God, not a sequestered life in particular temples or rituals, but real genuine magnificent men and women of God, no matter what the devil or the world or the flesh may do. 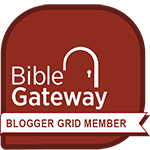 Are you letting God be God? Are you letting God resurrect you and make you holy? Are you giving in to the lie of the devil that you are losing the battle, or are you letting God speak to your mind that you are one of the real genuine magnificent men and women of God who are shining His light and love in a diseased world? 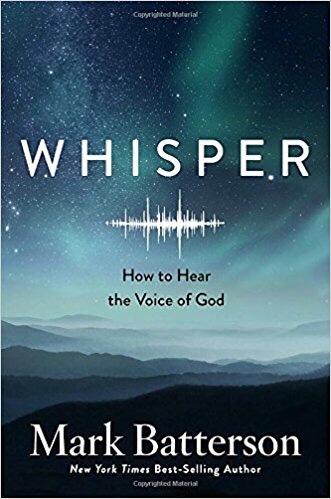 In Whisper, Mark Batterson gives us seven love languages which God uses to speak to us (check out my review of Whisper here). Mark always does a masterful job of weaving together Scripture, quotes from other authors, historical and his own personal accounts. Here are some of the quotes he shared from others. 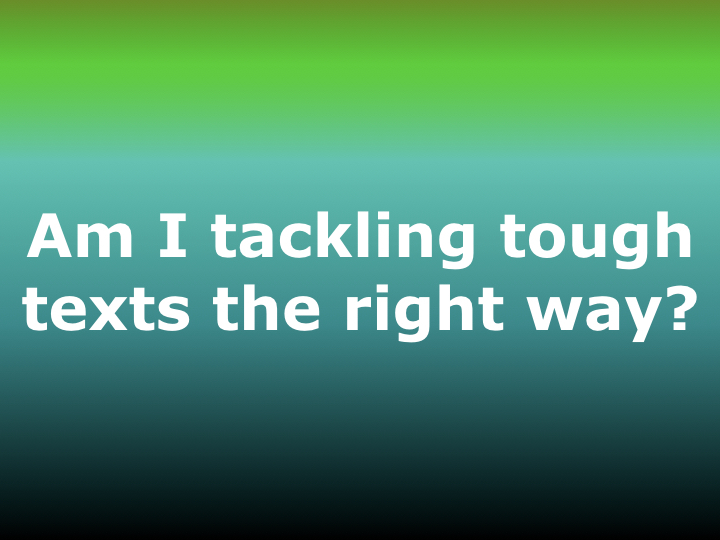 For more quotes from Whisper, click here. John Piper’s insight of both the Old Testament and New Testament meaning of marriage is profound! God modeled marriage on the covenant love between Christ and the church. Therefore, marriage has always been a witness (or a drama or a parable) of covenant love between Christ and the church. Therefore, the roles of husband and wife derive from the roles God designed for Christ and the church. 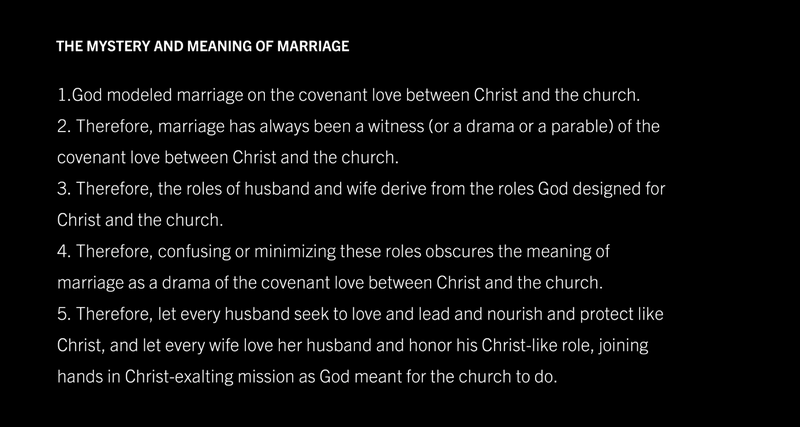 Therefore, confusing or minimizing these roles obscures the meaning of marriage as a drama of the covenant love between Christ and the church. Therefore, let every husband seek to love and lead and nourish and protect like Christ, and let every wife love her husband and honor his Christ-like role, joining hands in Christ-exalting mission as God meant for the church to do.